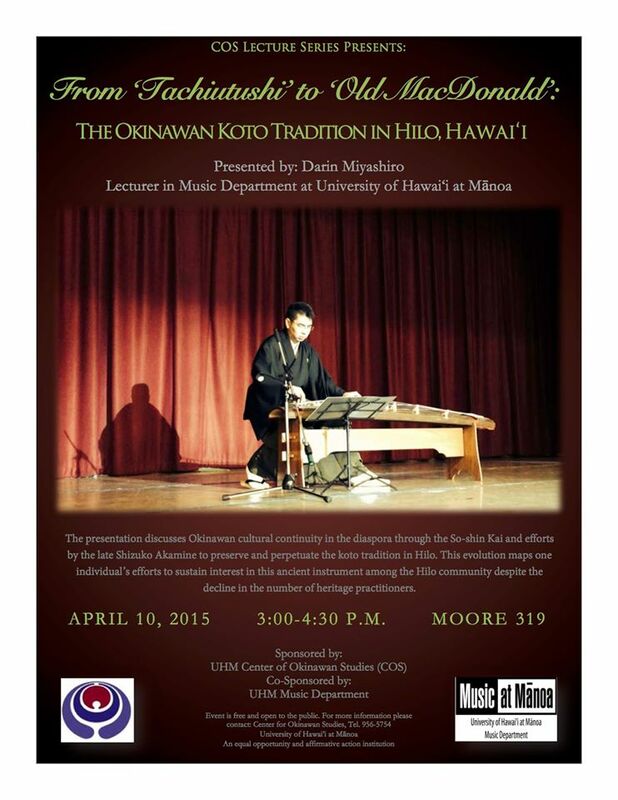 The presentation discusses Okinawan cultural continuity in the diaspora as well as the So-shin Kai Midori and efforts by the late Shizuko Akamine to preserve and perpetuate the koto tradition in Hilo. This evolution maps one individual’s efforts to sustain interest in this ancient instrument among the Hilo community despite the decline in number of heritage practitioners. Source: Ashley Nakanishi Shankles Facebook page, 3/12/15. This entry was posted in Announcement, Culture, History, International, Lecture, Music. Bookmark the permalink.